For the whole of September I was intending to go to the Joseph Cornell exhibition at the Royal Academy, but I always underestimate just how all-consuming putting on our own show is every time we do it. And so it was that it came to the penultimate day of the Royal Academy exhibition and it was my only day off, and I only had an hour before closing time to get round. What I should have done was to spend the entire hour focussing on the wonderful Cornell shadowboxes, which I have always been rather in love with but which I have never seen in real life in any great number. 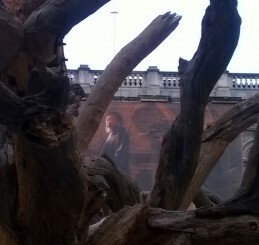 However queueing in the Royal Academy courtyard I was rather enthralled by the newly erected ‘Tree’ installation by Ai WeiWei, whose exhibition had just opened. 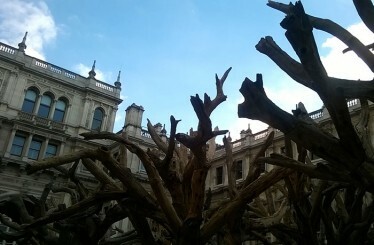 With eight trees constructed from the parts of dead trees using hidden joints and industrial bolts, the installation made for an arresting sight against the eighteenth century building. So stupidly I bought a joint ticket which gave me only half an hour in each exhibition. I zipped round the Cornell exhibition, trying to cut through the crowds who had obviously left it till the last minute like me. Perhaps it was the pressure of the crowds, but somehow the readymade assemblages didn’t speak to me in quite the way I expected them to. 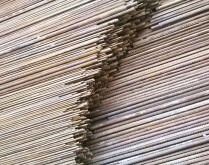 On the contrary, moving round the monumental pieces in the Ai WeiWei show downstairs was not only easier but somehow more engaging. 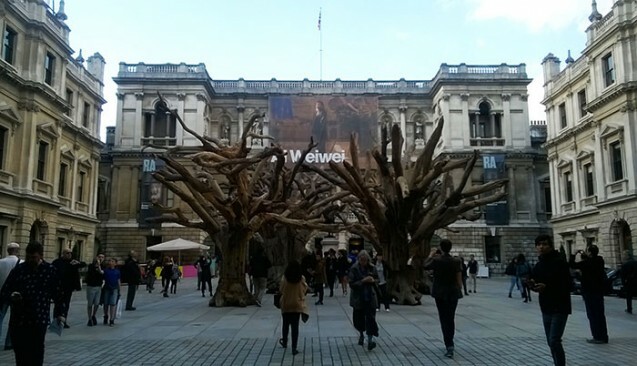 It was helped by the audioguide which, for the first time at the Royal Academy, was given freely as a result of being sponsored by Ai WeiWei himself who is keen to have his audience understand the context of his work. 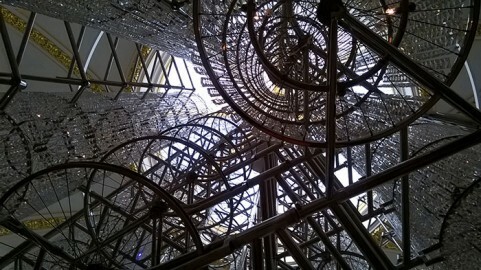 Much of his work is filtered through the political lens of being a Chinese dissident, and the central work of the exhibition, ‘Straight’, is both an homage to his fellow countrymen who died in the 2008 Sichuan earthquake and a criticism of corrupt Chinese officials who compromised on building safety standards to line their own pockets. 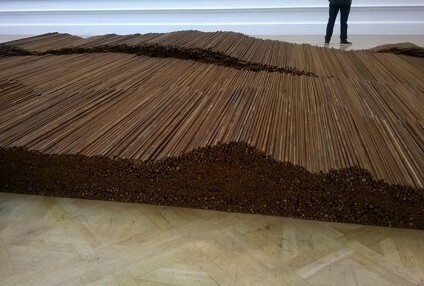 The huge work unfurls across the floor, 150 tonnes of steel rebar taken from the mangled wreckage of schools destroyed in the disaster, carefully straightened and laid in undulating layers, flanked by wall panels listing the names of all 5,196 children who died. 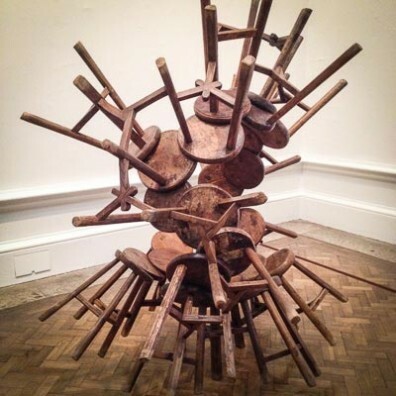 A number of pieces were concerned with the adaptation, conflation and fetishism of China’s cultural artefacts, which act as a commentary on the iconoclasm of the Cultural Revolution. 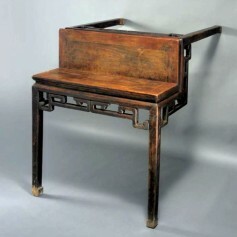 Furniture from the Qing Dynasty has been bastardised, with unexpected folds and corners expertly incorporated into the antique pieces by skilled cabinet makers. Tables to appear to climb the walls, stools look like they are cloning themselves in an ever-growing cluster, and enormous wooden columns from antiquity pierce and embed themselves into delicate tables. From a maker’s point of view, these pieces are both a wonder of craftsmanship and yet sit unsettlingly with the notion of the preciousness of the craftsman’s hand. This uncomfortable paradox of adapting centuries-old craft pieces was most apparent in one of the later rooms which displayed a collection of Han Dynasty urns dipped by the artist into emulsion paint in lurid colours. 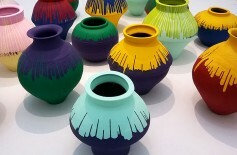 I thought they were rather beautiful and would have happily held their own in any contemporary craft show, but they have courted controversy since he started adapting them in the 1990s. Unusually, we were also allowed to take pictures, though I didn’t realise this until half way around when my window of opportunity was shortened even more by bumping into friends in the main room. 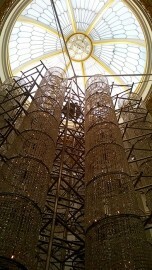 The piece in the final room had everyone reaching for their mobile phones to take pictures of the stunning forms of ‘Bicycle Chandelier’, a site specific sculpture consisting of hundreds of everyday bicycle wheels acting as the structure for cascades of white crystals to create a breathtaking chandelier. The exhibition continues until December and it will definitely be worth a second visit.